Most people don’t like to think about their own mortality, which is why estate plans are often not thought about until it is too late. If you are married, have children, or wish for your assets to be distributed to someone other than your legal heir, you will want to create an estate plan. An experienced Lansing MI estate plan attorney can help you draft an estate plan that ensures your loved ones are taken care of in the event of your death. What assets need to be included in an estate plan? One of the most common questions we get is whether or not estate planning is necessary for someone with few assets. The answer is that even if you don’t have very many assets, you will want to make sure you have a customizedestate plan in place. We recommend you consult with a reputable estate planning lawyer so that you can avoid having your estate held in probate. 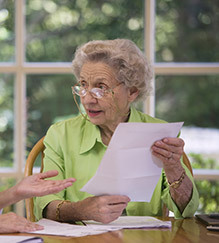 Probate proceedings are not necessary for assets with surviving joint owners or beneficiaries. For example, a life insurance policy that lists the spouse as the beneficiary would not be considered probate. When it’s not clear who inherits which assets, the will is used to honor the wishes of the deceased. For example, probate will be needed if you own a car or other property that’s only in your name. However, if you don’t have a will in place, you won’t be able to control how certain assets are distributed after death. In this scenario, the probate court would appoint an executor to distribute assets on your behalf. Even if you don’t have many assets, you will want to create an estate plan to secure your children’s future. If you and your child’s other parent were no longer able to provide care, it’s important that you appoint a guardian. Since childcare is expensive, it’s also a good idea to designate assets so your appointed guardian is able to financially support your children. An experienced estate planning attorney can help you plan for your children’s secure future in the event of your death. Who can help me create an estate plan? A knowledgeable Lansing estate planning attorney will be able to help you determine the best course of action for your unique circumstances. For estate planning, we cannot recommend highly enough that you hire an attorney with prior experience in estate planning. While a specialist attorney may be more expensive, you’ll feel more at ease than if you hired someone unfamiliar with estate planning law. 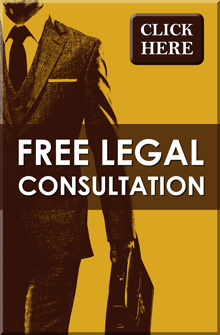 If you are in need of a Lansing MI estate planning lawyer to provide legal representation, please contact our Lansing law firm at (517) 337-4600 for your free legal consultation. At Foster & Harmon P.C., our experiencedattorneys want to make sure that you receive expert legal advice for managing your estate.